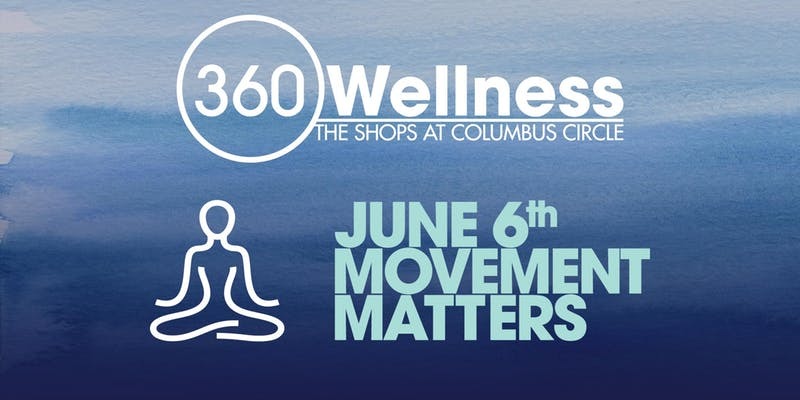 Take refuge from the stresses of the city at the new 360 Wellness series. Kicking off on June 6th at 6:30 a.m for a free sunrise yoga event in front of The Shops at Columbus Circle. Lead by Equinox Fitness Club instructor Bee Bosnack and wellness influencer Lisa Hayim, the event will take place facing the rising eastern sun looking toward Columbus Circle and Central Park. There will be music by DJ Brendan Fallis, juice samplings and lite bites from Juice Press and Bouchon Bakery & Café, and of course swag bags for all attendees (RSVP required). The program continues with midday-meditation on the second floor of The Shops at Columbus Circle at 12:30 p.m. with MNDFL, followed by a free ballet-inspired Barre Class at 5 p.m. with the American Ballet Theatre’s Craig Salstein. The day will wrap up with a panel discussion at 7 p.m. moderated by the founder and editor of Purist magazine, Cristina Cuomo, featuring MNDFL CEO, Ellie Burrows, American Ballet Theatre Choreographer, Kate Lydon, Registered Dietician and Founder of The Well Necessities, Lisa Hayim, and Equinox Tier X Coach, Julie Wandzilak discussing the importance of living an active lifestyle. The free programming will continue until September and will include the following (more details on each event soon). September 12: Conscious FashionRSVPs required in advance.